AERIAL: Flying around a female hiker taking photos of sea off the edge of a cliff. Professional photographer hiking in the grassy mountains of Faroe Islands taking pictures of the scenic countryside. 4k00:28AERIAL: Cheerful woman standing on the edge of a cliff with outstretched arms while looking at the breathtaking ocean. 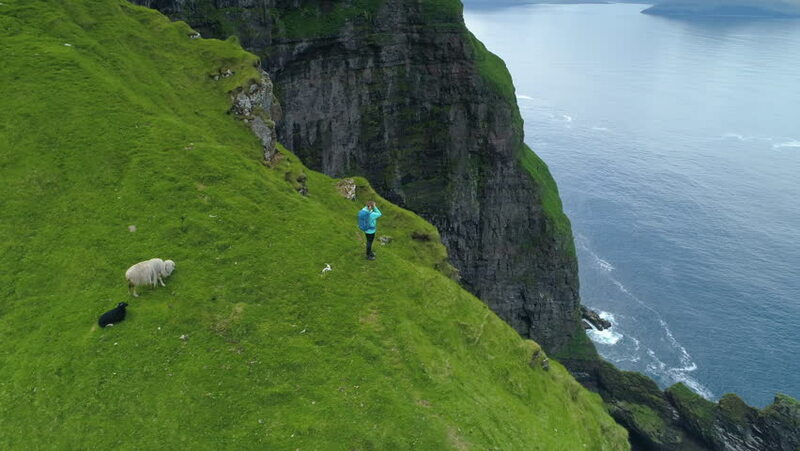 Female tourist is happy after hiking up a steep grassy mountain in Faroe Islands. hd00:11Over the Beach of Balapitiya, Sri Lanka, shot by a helicam.